I am still unpacking--literally and figuratively--from my recent pilgrimage along The Notre Dame Trail. In preparing to share the experience tomorrow morning for my monthly appearance on Relevant Radio's Morning Air program, I was praying yesterday before Mass about the difference between travel and pilgrimage. Those of you who know me know by now my love for a good adventure. Whether it's a jaunt to a nearby Southern California site that's new to me or a trip to the opposite side of the earth, I love to pack my bags and take a trip. 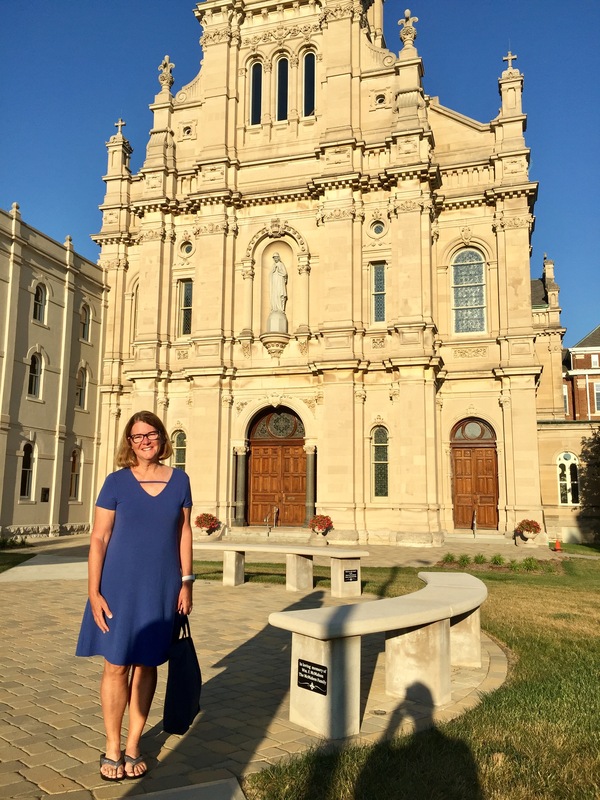 Lisa, on pilgrimage at the Shrine of Saint Mother Théodore Guérin in Saint Mary-of-the-Woods, Indiana. But my recent journey across Indiana reminded me about the potent difference between vacation and pilgrimage. One may travel to a sacred site as a tourist and still receive a spiritual impact. But there is something very different about venturing forward as an intentional "Pilgrim". “To go on pilgrimage is not simply to visit a place to admire its treasures of nature, art or history. To go on pilgrimage really means to step out of ourselves in order to encounter God where he has revealed himself, where his grace has shone with particular splendor and produced rich fruits of conversion and holiness among those who believe." It seems clear to me that while it is a lovely thing to go far outside our normal routines and circumstances to seek the pilgrim's path, life doesn't always allow us this luxury. 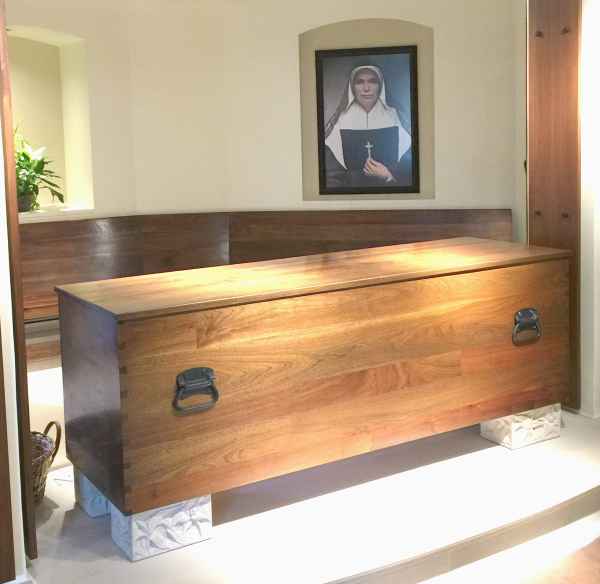 In truth, by Papa Benedict's definition, a pilgrimage could just as simply be an intentional venturing forth to a sacred site in our community, to a retreat center or monastery within a few hours drive, or even to a parish on the other side of town. In 2016, speaking to a group of individuals who work to facilitate pilgrimages to shrines and other sacred sites, Pope Francis extolled the virtues of visits to these places, reminding his audience that each pilgrim, "brings a special wish in their hearts, a prayer." Choose a day, weekend or extended period of time when you can fully devote yourself to a sacred experience of the site you will be visiting. Pray beforehand in preparation for your pilgrimage. Ask God to help you focus fully on the spiritual opportunity before you. Ask God what he wants you to learn and experience along your pilgrim's path. Invite your friends and loved ones to participate in your pilgrimage by praying for you and by permitting you to pray for them. Invite their petitions and prayer intentions. Carry these with you and set aside not only time at your destination but also a time during your travels to pray for these intentions. Travel simply and quietly. Allow your transit time to be an intentional part of your pilgrimage. Consider a means of transit which allows you to encounter God along your route. Devote time after your pilgrimage to consider how you have encountered God, how you have been changed by the pilgrimage, and how you are being called into a more radical commitment to live the teachings of the gospel. My travel with my fellow "core pilgrims" enabled me to see firsthand the incredible bonding power of pilgrimage. As such, I'd encourage those of you in families to consider giving yourself the gift of regular family pilgrimages. A journey of faith can be a life-changing experience. What a gift it is to share this with our spouse, our children, or even a group of close friends or fellow parishioners. I was very blessed to pray at the tomb of one of my personal patron saints, St. Mother Mother Théodore Guérin. 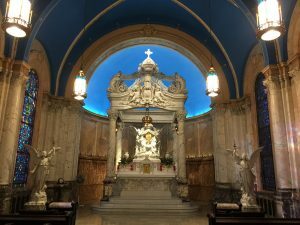 Please remember that while pilgrimages to such far-flung destinations as the Holy Land, Rome, or Europe's sacred shrines can be incredible opportunities. But even a trip to a nearby parish can serve as an opportunity to journey with a "special wish" in our hearts... the wish to grow ever closer to the God who loves us so greatly. If you've had a pilgrimage experience, I would love to hear from you. Where did you go? What made the trip a "pilgrimage" rather than a "vacation"? What would you do differently? Where would you love to go on pilgrimage? For S. submitted by email: I feel like a missionary when I travel. I distribute rosaries all along the way as well as scripture booklets and prayer cards. I see the Creator in creation and praise Him in awe. 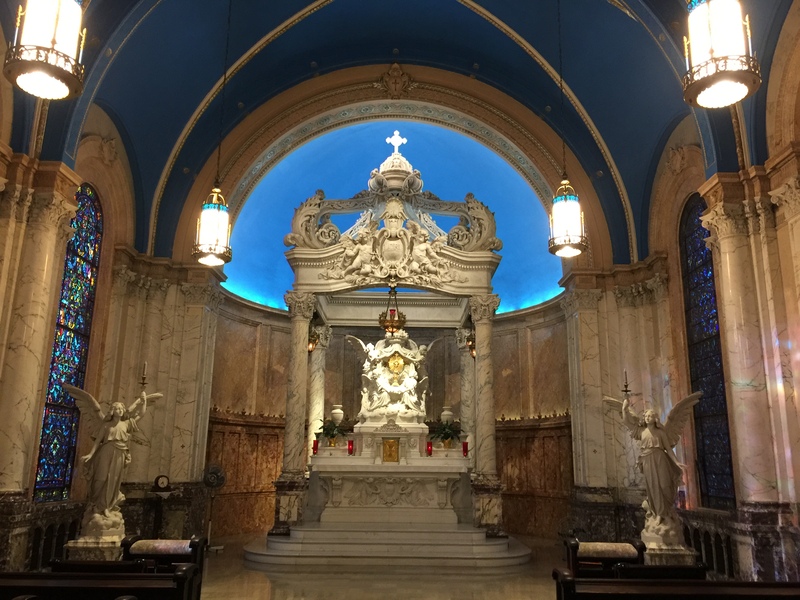 The local Catholic Church, mass, and adoration chapels are highlights as well as any local shrine. Thanks for the post. I often thought about what it would be like to take a pilgrimage, and my interest is very high, but, my wife and I will investigate more when our kids our grown. It is something we have talked about doing someday! Thanks for the post.